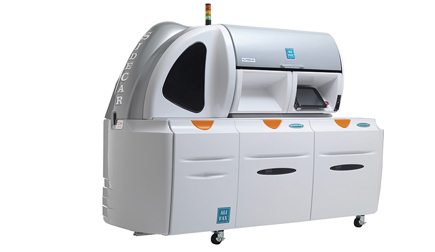 Automated Streaking System Integrated with the Rapid Bacteria Culture Real walk-away system for rapid bacterial culture and plate streaking of liquid samples. The system is composed of two units: Alfred 60AST and Sidecar. Sidecar streaking unit stocks 240 Petri dishes and up to 12 different media. The streaked dishes are incubated on board at 37°C for the requested analysis time. 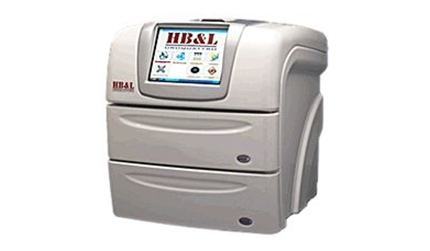 HB&L is the first analyzer able to perform Bacterial Culture, RAA and Susceptibility Testing on samples such as Urine, Sterile or non-Sterile Fluids, Positive Hemoculture, other Biological Samples and Isolated Colonies. 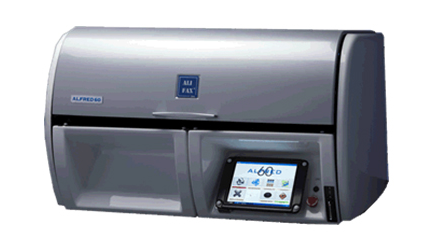 Alfred 60 is the first fully automated system able to perform bacterial culture, RAA and susceptibility testing by automating the whole process of sample inoculation, reading and result transmission. Using the patented technology based on light scattering it is able to detect the presence of bacteria and their drug resistance in few hours with high sensitivity and specificity.